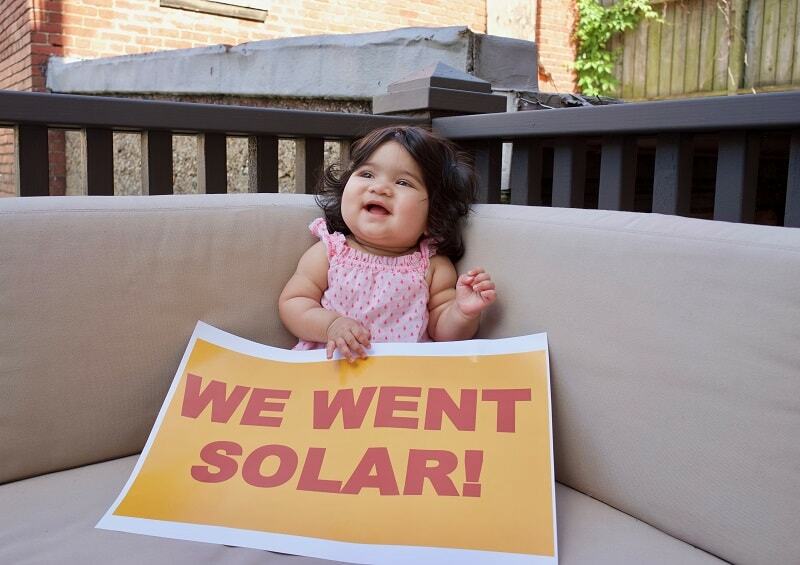 Sanjay, Deepa, Saavan, and Mira Acharya – Washington, D.C.
We had just had our second child and when we had our first child we went solar in the house we were living in at the time, we thought it was a small thing we could do to help them grow up in a healthy planet. 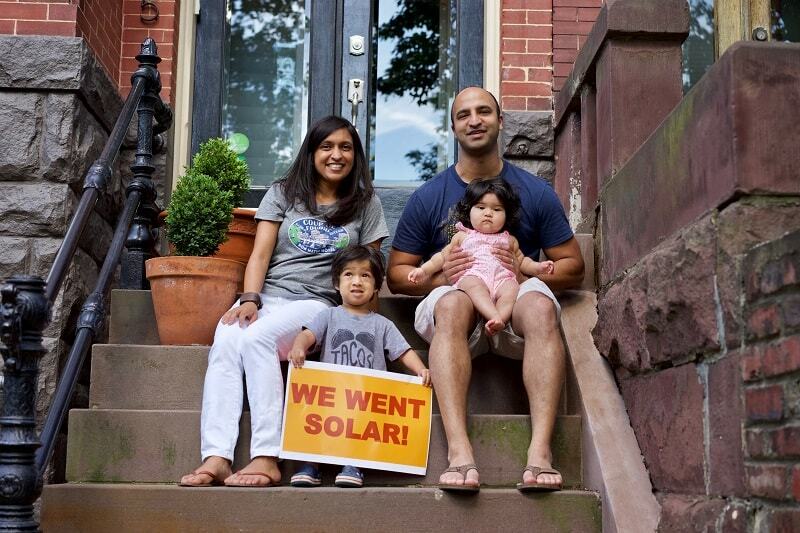 Sanjay, Deepa, Saavan, and Mira Acharya, Solar homeowners – Washington, D.C.
Several reasons, first we had just had our second child and when we had our first child we went solar in the house we were living in at the time, we thought it was a small thing we could do to help them grow up in a healthy planet. Second, the financial returns looked great and even better once D.C. raised the RPS payouts, we would break even on our system in ~4 years with the SRECs, power savings, and tax incentives, and that’s not even including the value it would add to our house. Having the backing of the co-op gives you some clout with vendors as minor hiccups are bound to occur. Yes, since we went live in May we’ve produced 790 kWh in May and 960 kWh in June. Our June 2016 bill was $191.44, our June 2017 bill was $101. Going solar has been fantastic and the co-op has been a great partner for us to go solar with. 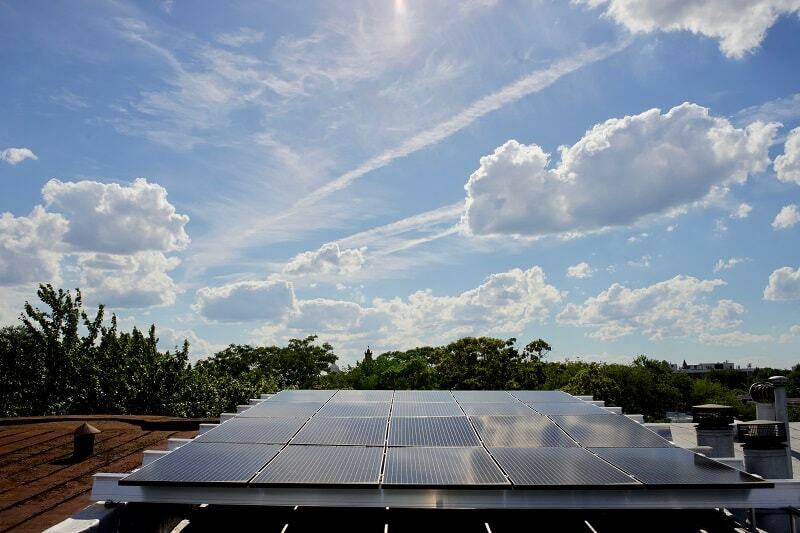 We hope that incentives and interest continue in D.C. so that more of our fellow residents can go solar.